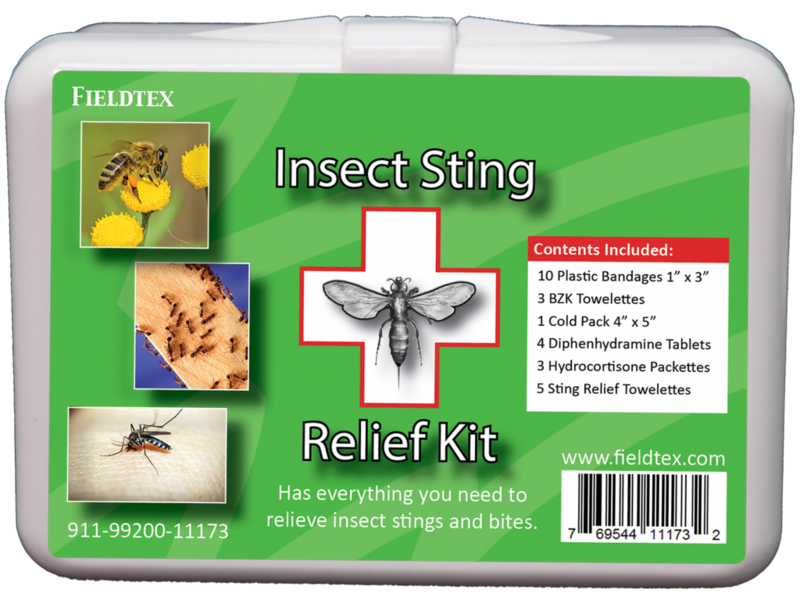 Insect Sting Relief Kit: This kit is perfect for those who love the outdoors. Our Insect Sting Relief kit is compact and contains everything you need to relieve insect bites or stings immediately. The kit even includes a cold pack to help relieve initial sting pain and reduce swelling. This kit is compact and easy to store, and the bright label makes it easy to identify. And the best part, this kit costs less than $5.00! 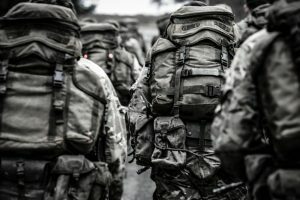 Be sure to bring this kit with you on your next hike or camping trip. Restaurant Kit: Things move fast in a restaurant kitchen, and accidents are inevitable. 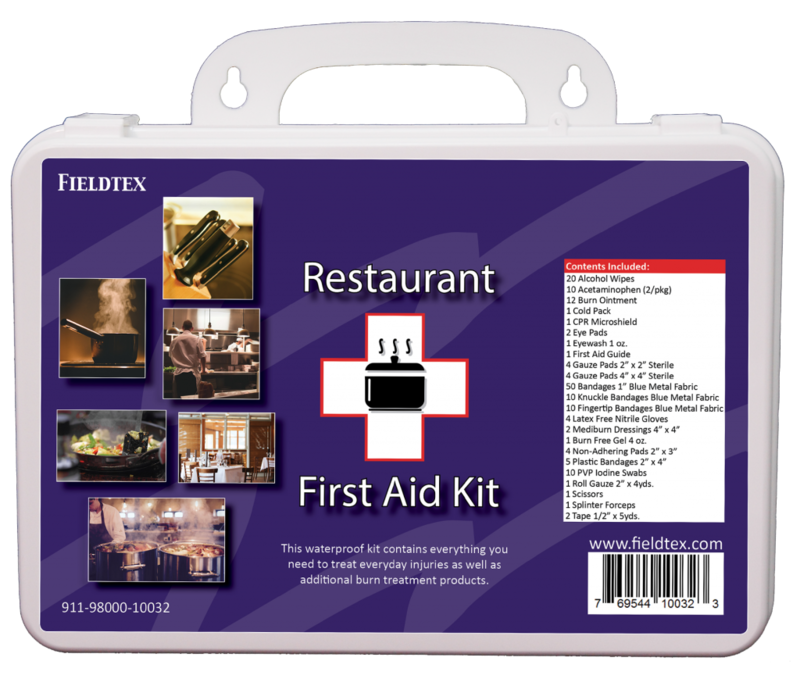 Our Restaurant kit has everything you need to treat everyday injuries including additional burn treatment products. Our new and improved kit includes Blue Metal Bandages which allow you to easily find them if they have fallen off. This kit has everything you need to stay safe in the kitchen. 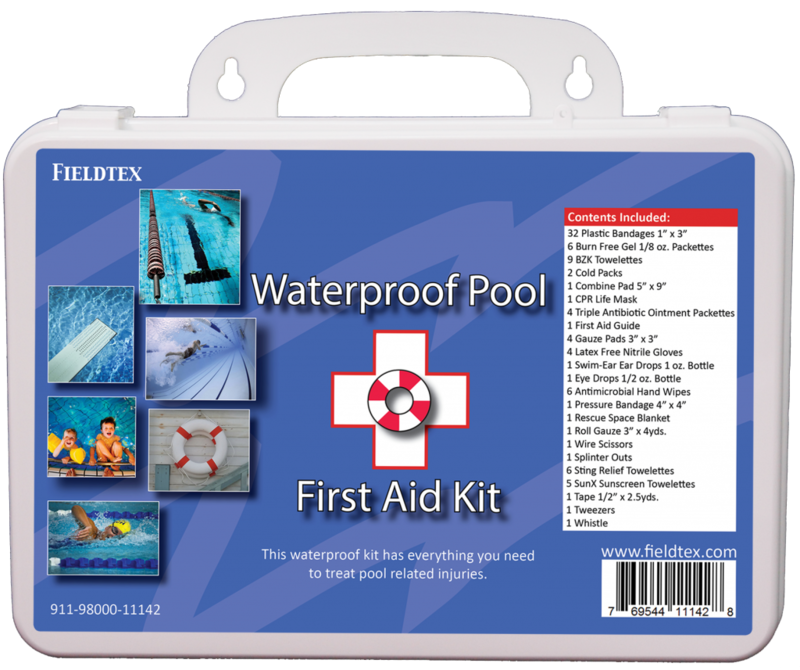 Swimming Pool First Aid Kit: Just in time for summer, our Swimming Pool First Aid Kit is perfect to keep with you by any body of water. Its contents are meant to treat minor safety injuries, and it is easy to mount on any surface. Plus, when closed the kit becomes waterproof! Make sure to bring this kit by your side this summer. 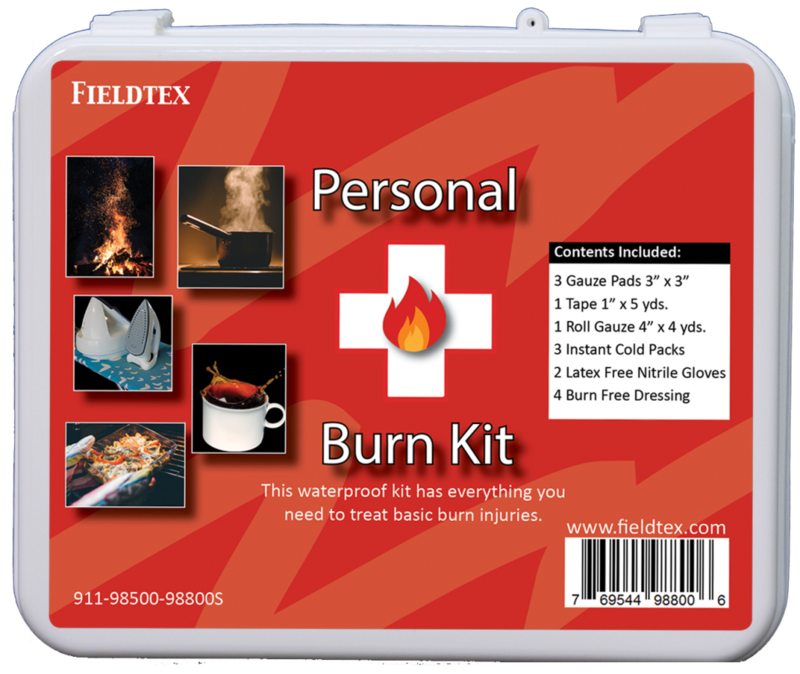 Personal Burn Kit: This personal sized burn care first aid kit has everything you need to treat basic burn injuries. It’s ideal for the kitchen or places where burns are more probable. This compact kit is easy to store and the bright label makes it easy to identify. Best of all this kit costs less than $12.00. Burns might not happen every day, but when they do you’ll be sure to want immediate relief, and this kit has all the necessary components to provide that relief.